Best in Show 2013 GRCQ Championship Show Kaparla Look At Me Now (AI) pictured here with judge Mrs Maureen Hanley, Pauline O’Sheehy and handled by Jeanie Stephens. Luka is owned by P&J Schwebel. 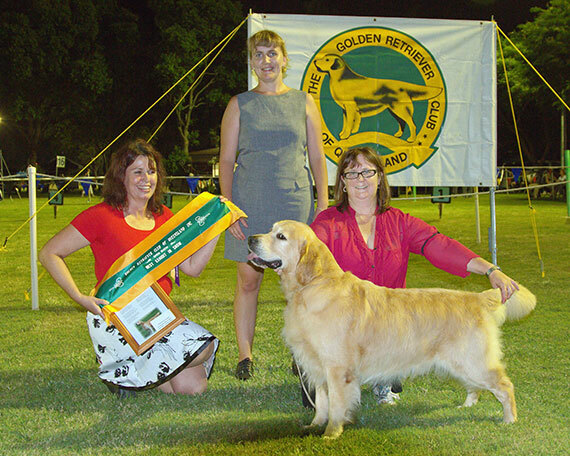 Best In Show Ch Rockgold Kiwi Kenobi (Obi) owned by Hilary Larsen pictured here with judge Mrs Sherry Jewel and President Melanie Bryant. Best in Show Ch Wembury Wit Waters Rand owend by Lesley Lowe handled by Brenda Kent pictured here with Championship Show judge Peter Watson (Victoria). Best In Show Gr Ch Imatriever Karubian Jule (Kajun) owned by Brenda Kent pictured here with Open Show judge Mrs Jody Wilshire. 2007 Best In Show Ch Impressa Its Jesta Dream owned by Jan Thyer pictured here with judge Mrs Janet Barrow (UK). 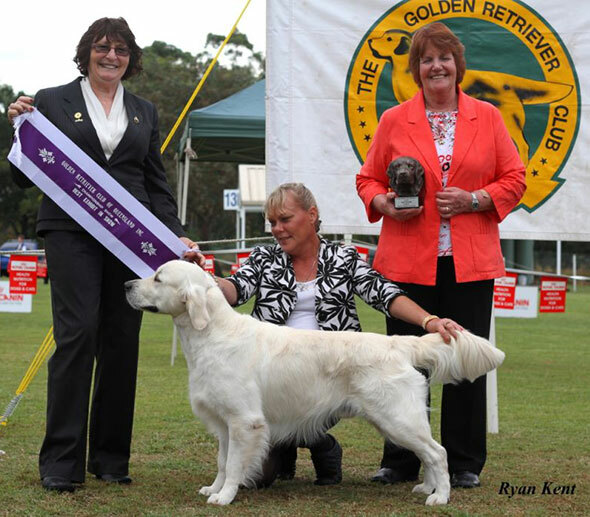 2007 Best In Show Gr Ch Imatriever Karubian Jule owned by Brenda Kent pictured here with judge Mrs M McLennan (Qld). 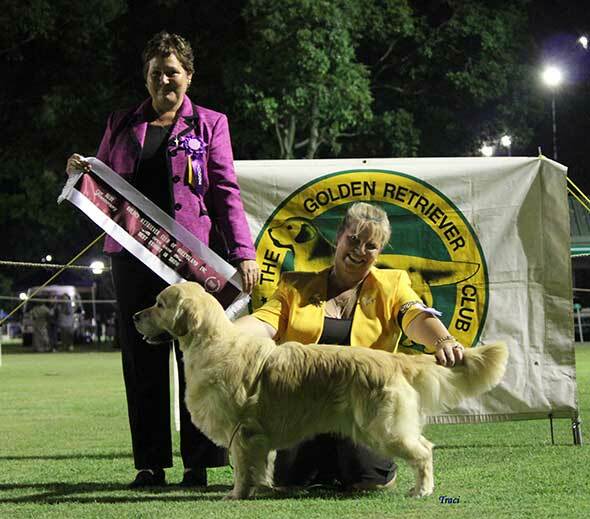 2002 Best in Show Gr Ch Alnclair Maggie owned by Wayne & Sharon McGrath judge Mrs Christine Sandford – South Africa, originally UK – Redsteps Kennels. 1994 Best in Show Gr Ch Coombehill Brae Roshen owned by David & Margaret McKittrick pictured here with judge Mrs L Beckwith (USA).